When it comes to mens fashion dress shoes, one of the leaders in the game are Giorgio Brutini. 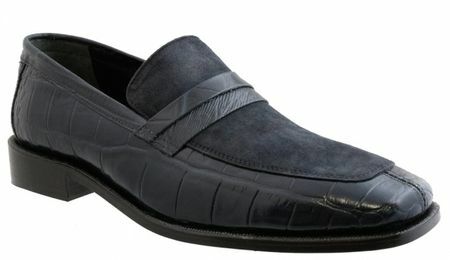 Giorgio Brutini makes affordable Italian style leather dress shoes that look like they cost hundreds of dollars but don't, like these sweet looking navy blue suede and crocodile print leather loafers. Featuring a leather sole to boot, you'll know you can wear these for quite some time.